I didn’t intend on buying Madden NFL 25 this year, but I just couldn’t pass up the Amazon deal that featured this year’s game + the NFL Sunday Ticket pass for $100. I figured at the very least I was getting a great deal on the Sunday Ticket (which retails for $300 on its own), and hey, maybe I’ll even enjoy the latest Madden. 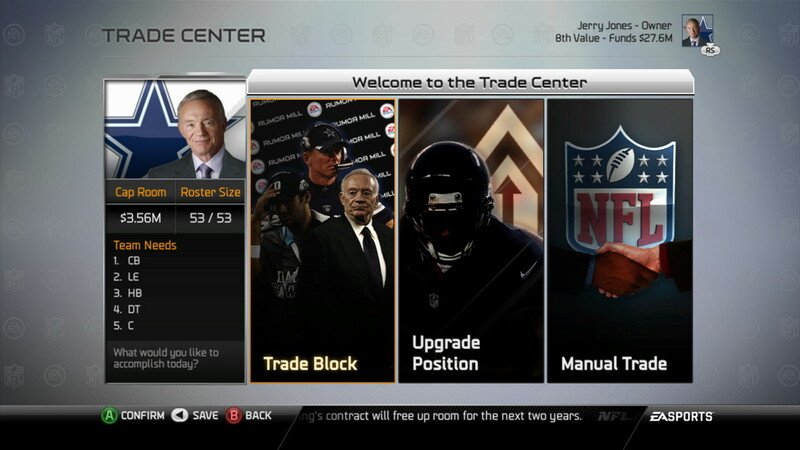 Unfortunately, no, Madden 25 just serves as a reminder as to why I stopped playing the series in the first place. I’ll be selling this back ASAP. 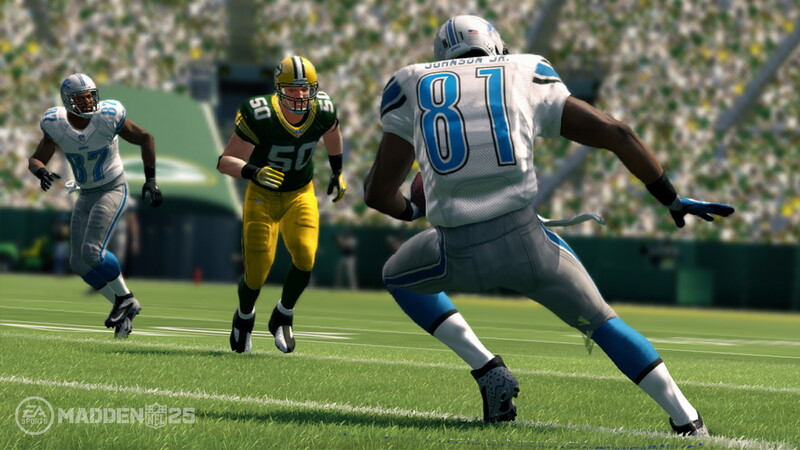 Ever since EA Sports struck a deal as the exclusive license holder of the NFL way back in 2005, the Madden series has grown stagnant, offering little in the way of new and exciting developments. Every year some “new” feature is announced — this year “run free” is the gimmicky term for a slightly tweaked running game — but there has not been a legitimate groundbreaking development in years. Still, I went into this year’s game with an open mind, hoping to get at least something out of the experience. Right away, numerous issues are prevalent. The loading times are absolutely excruciating, especially when the game attempts (and fails) to connect to the EA Sports server. It’s possible to spend more than a minute at a time staring at a loading screen while the game tries to get to the next menu. This is inexcusable, especially since the series has had a good seven years to fine tune its performance on this console generation. Navigating through the game’s bulky menus is a chore simply because it’s so damn sluggish. You know the old saying, “less is more”? That’s something EA should adhere by with this game. Even now, a couple weeks after its release, I have still had issues using the game’s matchmaking system. During the first few days, the online was completely broken, as I would get disconnected from the server immediately. It seems to be working better now, but it could still use some fine tuning. Again, Madden is an extremely popular game; you would think that EA would be fully prepared for any amount of online users. Playing an actual game is still riddled with problems as well. The battles in the trenches are completely ridiculous, and the entire blocking system is simply broken. Down the field, offensive players without the ball routinely run right past defenders, not even attempting to block them. Playbooks are incredibly easy to exploit; sometimes all you need to do is find one play that you excel at and then just run it over and over again. The defense rarely picks up on these play calls. 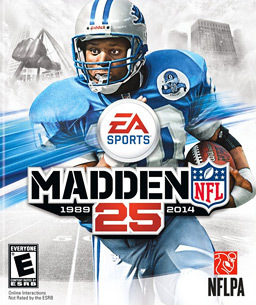 Then again, this is Madden, and the series is known for some of its outlandish gameplay characteristics. For as much as this wants to be as realistic as possible, it’s still quite possible to pull off insane runs that go from one side of the field to the other. These types of wild antics are fun when playing with friends, but frustrating when trying to play a more realistic franchise game. Perhaps most annoying is the game’s commentary, performed by Jim Nantz and Phil Simms. These guys are completely devoid of any personality, and most of their rambling is utterly generic and does not match the action on screen. For example, let’s say you score a meaningless touchdown near the end of a blowout win. Even if the score is something like 49-0, Simms will remark how that last touchdown should just about seal the game. Are you kidding me? You can tell that the bare minimum of effort was put into this audio presentation. In fact, you could say the same thing about the entire game. 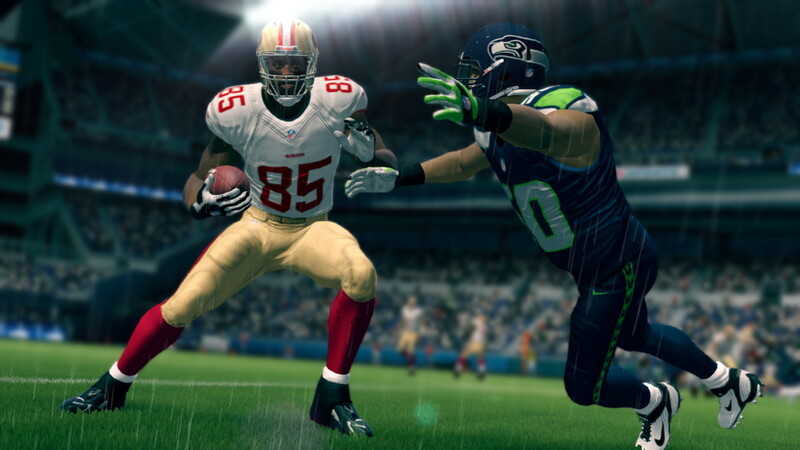 Madden NFL 25 just feels half-assed all around. Maybe EA is putting most of its resources into the next-gen version of the game; if that’s the case, this shoddy edition would make more sense. It still doesn’t make it right. The frustrating thing here is that there is a decent enough football game at the very core of Madden, and yes, it can be a lot of fun to play with friends or even random people online. It’s just a shame that EA feels the need to keep piling on excess garbage that just slows the game down while slowly sucking out the remaining semblances of fun that this series once had. I hope they get things right in the next generation, but I’m not holding my breath. I’d have to disagree. With a good internet connection the load times when connecting to the EA serves is not bad at all, and having the game installed on the hard drive makes load times even better. It actually loads a bit quicker than Madden 13 did. I played matchmaking on release day on and haven’t had any issues, and the gameplay is easily the best and most refined of any Madden game yet. Fair enough, glad to hear you are enjoying it. I didn’t play Madden 13, so I can’t compare, but this one was disappointing for me. I haven’t had connection issues with other games, yet EA was still kicking me off the servers even just a few days ago. Very frustrating — hopefully the next-gen version is a better experience.